The New Hampshire ski area became popular with racers and celebrities alike. CONCORD, N.H. — Tom Corcoran, an Olympic skier who founded the Waterville Valley ski resort in New Hampshire that became popular with racers and celebrities, has died. He was 85. Former assistant Jan Stearns said Corcoran died Tuesday at his home in Seabrook Island, South Carolina, after a brief illness. Republican Gov. Chris Sununu, whose family bought the resort in 2010, offered his condolences Wednesday and said he grew up skiing with Corcoran’s family. “Tom wasn’t just the founder of Waterville Valley, he was the spirit that grew it into one of the most storied destinations in New England,” Sununu said. Corcoran was born on Nov. 16, 1931, and grew up in Canada, where he attended an unconventional school in St. Jovite, Quebec, set up for the family that ran a nearby resort. Corcoran was sent to New Hampshire for high school and graduated from Dartmouth College in 1954. He competed in the 1956 Olympics and again in 1960, when he placed fourth in the giant slalom – the best finish for an American man in the event until 2002, when Bode Miller won a silver medal. Corcoran also earned a master’s degree from Harvard Business School in 1959. After time spent learning the ski industry in Colorado, Corcoran returned to New Hampshire and purchased the Waterville Inn and 425 acres at the base of Mt. Tecumseh. 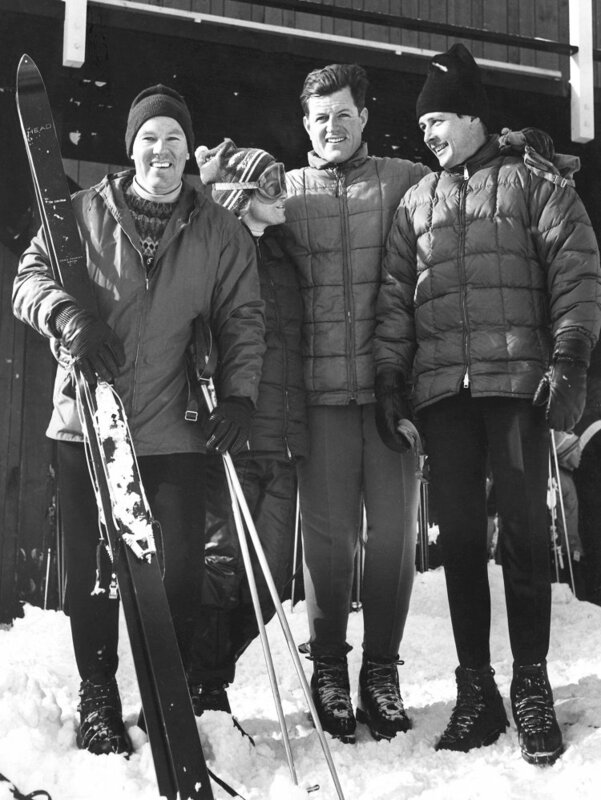 He opened the Waterville Valley Resort in the winter of 1966-67, and quickly attracted skiers from around the region, including the Kennedy family. According to the Waterville Valley Resort Association, Corcoran became friends with Robert Kennedy while working on his senatorial campaign and the resort became a favorite for the Kennedys and their children. “Bobby’s Run” was named for Kennedy after his assassination in 1968. Corcoran also worked to bring top competitions to Waterville Valley. Up until the 1990s, it hosted 11 World Cup events, including the 1969 World Cup slalom and giant slalom finals. “Tom touched many lives around the world. Lucky for all of us, his legacy lives on in Waterville Valley – his dream, his vision, his creation, his hard work,” said Stearns, who served as Corcoran’s executive assistant for years. Corcoran arrived at Smith’s office “hunched up” and looking his age, Smith said. But when they got off the chairlift, he was transformed.